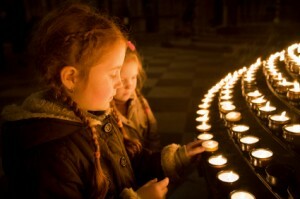 Last week we saw how 2012 was ‘The Year of Privacy’. As I was flying 30,000 feet above sea level after spending time at the International Consumer Electronics Show, it became quite clear that 2013 is going to be ‘the Year of Privacy on Steroids’. With so many new sites, gadgets, and technology offerings integrating social media into their core functionalities, legislators will be hungry to regulate and legislate. The notion of privacy has become indelibly integrated into all aspects of our lives impacting what we do on a daily and hourly basis. We communicate, we entertain, we consume, we share, we travel – we live. And as technology and the online world continue to advance, we are seeing the introduction of new legislation that impacts our private lives. 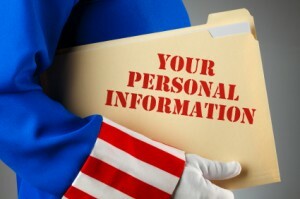 Was 2012 the Year of Privacy? As social technology continues to advance, privacy continues to get attention from the government, consumers and media. Privacy-based fears and concerns, whether legitimate or not, fueled many of the big privacy events in 2012. The following countdown gives you just a glimpse of online privacy from this past year. Imagine you felt passionate enough about a cause to place yourself in harm’s way to support the side you believed in. Now imagine you could do this without leaving your living room and still step into the front lines of the battle. That’s exactly what today’s social justice hackers are doing via the Internet – declaring digital warfare against their opponents centered on their vision of who’s right and who’s wrong. Today’s hackers can easily accomplish their mission by digitally attacking governments, corporations, and other groups they oppose through social media harassment, website defacement, virus and malware distribution, and data theft, leakage, and destruction, just to name a few. This is their idea of social justice. Is Facebook Denying Democracy to a Billion People? Did you vote? And no, I am not talking about for Romney or Obama. Or anything political for that matter. I am talking Facebook. A few years ago, Facebook was the first company of its kind to experiment with democracy when it provided its users with the right to vote on policy changes and updates. While news of this new social media democracy spread like wildfire, not even 1 percent of Facebook’s 1 billion users actually voted. Facebook announced last week that it is taking back the right to vote, resulting in severe backlash from the general public and privacy advocacy groups around the world. Users took to their Facebook timelines to address their concerns and to attempt to protect their privacy and copyright rights by posting a long message with lots of legal mumbo jumbo. A bit of research can go along way as this ended up being a hoax fabricated to create a privacy scare amid Facebook’s recent privacy changes. 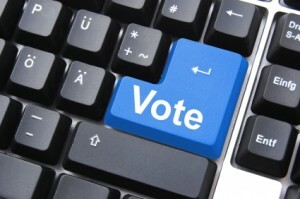 Facebook provided users with the right to vote back in 2009 in an attempt get feedback about updates to its policies. Since then, the company has tripled in size, gone public, and now has Wall Street stakeholders that it must answer to. Facebook pointed out that the voting process ended up emphasizing ‘quantity over quality’, and the experiment with democracy just didn’t work. Kudos to Facebook for exercising its rights in a free democracy! We talk a lot about the impact of social media on commerce and human connections. 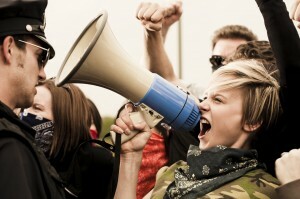 The social media platform has the ability to transfer news and ideas faster than news and ideas can even be generated. Since the start of what the media is calling the ‘Arab Spring’, social media has literally become something quite revolutionary. Last spring, the conflicts in Bahrain and Egypt showcased the true power of the Internet, particularly of Facebook. Before the proliferation of the Internet, protestors spread the word of an upcoming rally or demonstration through posters on city center walls and word of mouth. Sitting governments would try to quell these movements by forbidding posters, declaring curfews, and outright banning demonstrations. And then, along came the Internet and along came social media sites like Facebook. Against all odds, Facebook has become one of the most powerful tools for the promotion of freedom. It has made spreading the word to organize for a cause easier to do, faster to execute, and more far-reaching. And yet, the best solution to stopping such an upheaval in today’s times is the same as it has been for hundreds of years – silence the protestor’s ability to speak and organize. For a government, this means removing the newest weapon from the hands of the people, and that weapon is the Internet. For many of the protests we’ve seen in the last year, the ultimate goal has been to overthrow the oppressive policies and actions of a government through massive civilian uprisings. Historically, anti-government citizens achieved their goal by various means – organizing peaceful protests, seeking help from international organizations, taking up arms, and sometimes engaging in violent attacks against the government and military. All of this remains true today, with the added power of the Internet. For the protestor, the Internet is a powerful tool for increasing strength, gaining greater and broader support, and reaching out to family and friends. It’s shocking to a great number of people that Facebook would become instrumental in the overthrow of long standing dictatorships or brutal regimes. People of Egypt used it. People of Tunisia used it. People of Bahrain used it. When the war ‘ended’ and the NATO participation in Libya finally came, it was announced on Facebook. It seems as if there is no end to the reach of the Internet, social media, and the concomitant power of Facebook. The importance of the Internet in a revolution goes beyond the individual. Foreign nation-states play significant roles during an uprising, and the Internet is one of many tools at their disposal. 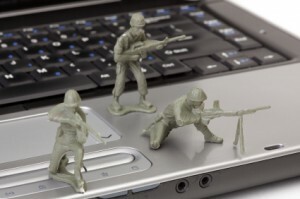 In many cases, providing Internet support and continued access to the Internet has become much like providing artillery support. At end of the day, the Internet has become one of the most powerful tools for promoting freedom. Amazingly, a platform that started as a means by which people share photos has evolved to help topple brutal dictators. There’s no telling where all of this could lead civilization.